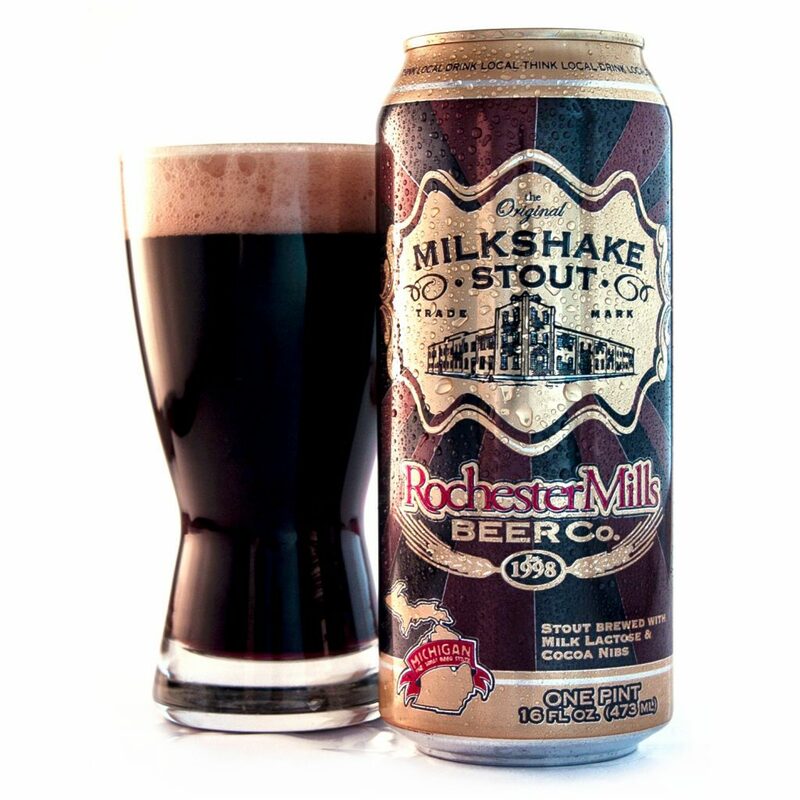 (Rochester & Auburn Hills, MI) – Michigan craft beer lovers, can begin their holiday shopping and celebrations early with the return of the 12 Days of Milkshake Stout featuring beers from Rochester Mills Beer Co. Given the popularity and consumer demand for these beers, Rochester Mills will release their limited holiday edition 12-pack on November 6. This product features one 16 oz can of each beer in this year’s 12 Days of Milkshake Stout promotion, just in time to get the perfect gift for the craft beer lover on your shopping list. The brewpub in downtown Rochester and the Taproom in Auburn Hills will join more than twenty other select premium craft beer bars and restaurants throughout Michigan as host locations for the progressive tap takeover event, December 1-12, 2017. Admission is free and open to the public, ages 21 and up. Due to a Private function, the Taproom will begin their takeover on December 2. The progressive tap takeover event will feature (12) twelve specialty and limited edition varieties of Milkshake Stout, Rochester Mills’ best-selling beer brand. Each night a new variety of stout will be tapped and stay on draft until the keg runs dry. Additions or adjustments to this list may occur prior to the event. Rochester Mills Beer Co. has been one of the top producing brewpubs in Michigan since it opened in 1998. The pub is a full-service restaurant and offers a diverse beer menu with eleven different styles of beer consistently available as well as a number of reoccurring seasonal offerings. The Rochester Mills Production Brewery & Taproom, brewers of Rochester Mills Beer Co. brands for distribution, began as a startup brewery in Auburn Hills, MI in 2012, quickly becoming one of the top craft beer producers in the state. Their Lagers and Ales packaged in 16oz. aluminum cans are currently featured in grocery stores as well as independent and franchise convenient stores, and specialty beverage merchants statewide. Additionally, their three core brands, which include Milkshake Stout™, Pine Knob Pilsner, and Rochester Red Ale, along with four rotating seasonal offerings that now include Tongue Tied Cherry Saison, Oktoberfest Celebration Lager and Red Velvet Ale, can be found flowing from thousands of taps at bars and restaurants across Michigan and Northern Ohio. Earlier this year they opened a Taproom in the Auburn Hills location sell draft beer and beer to go. Is your 12 days of milkshake stout available by mail to Texas and/or Delaware, or is it available at Total Wine stores in those states?